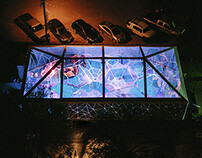 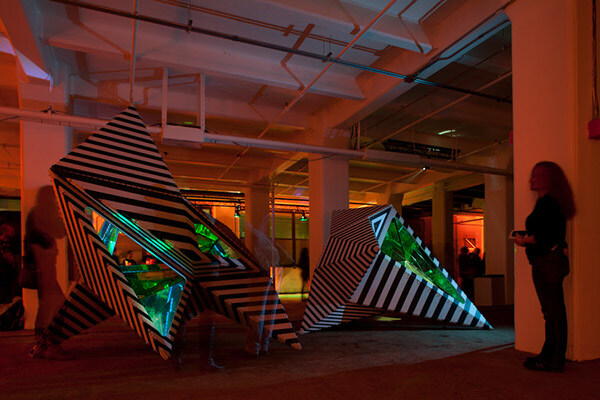 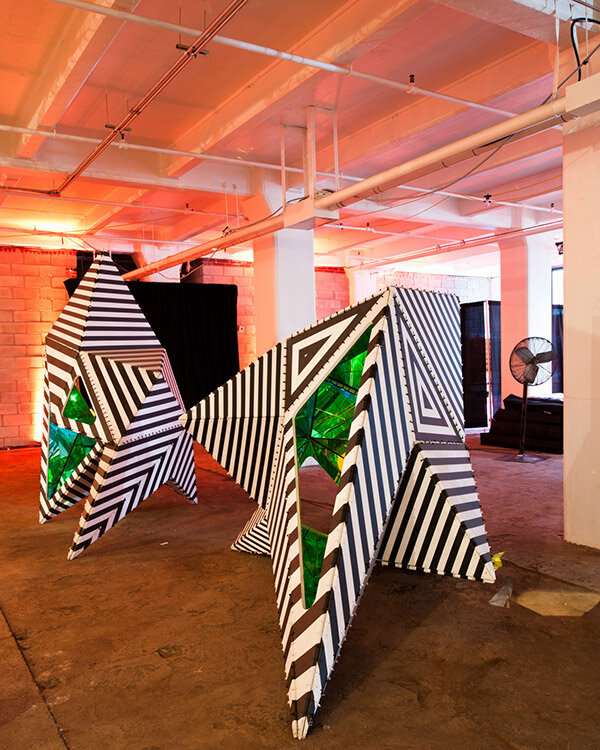 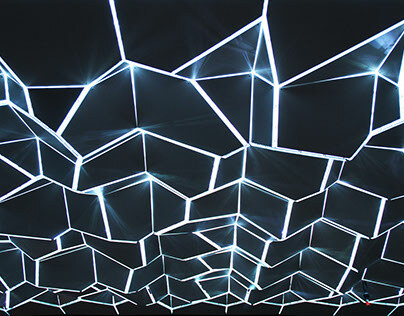 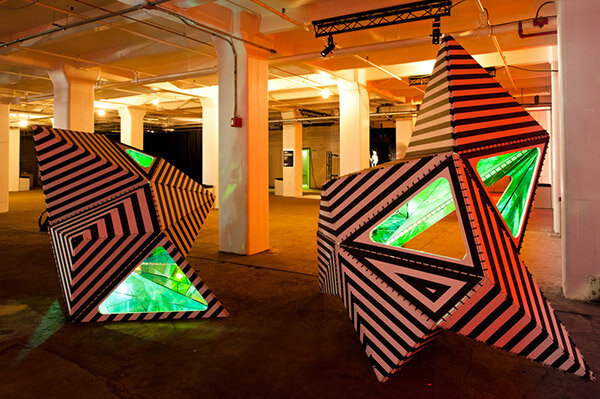 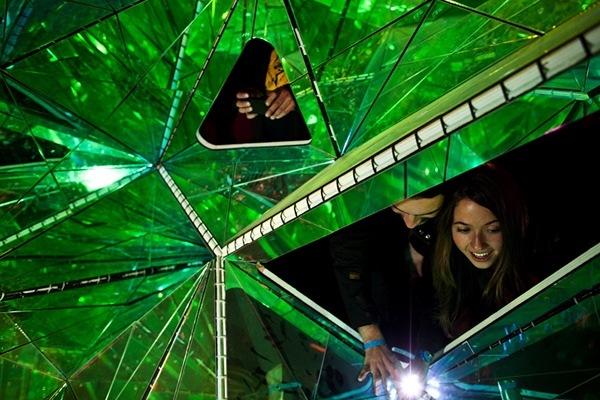 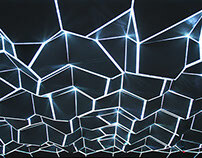 We produced aninstallation for The Creators Project : New York 2011, apartnership between Vice and Intel. 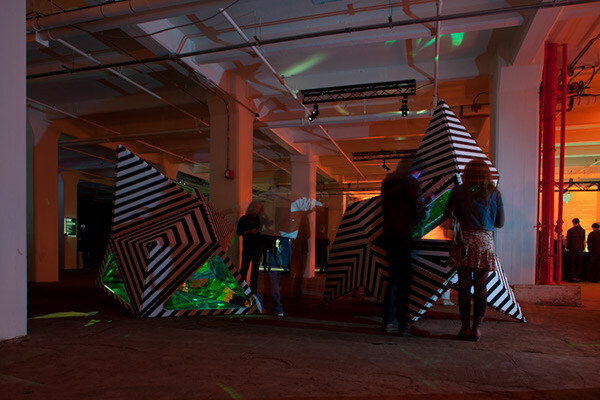 The two structures are made of plywoodpanels zip-tied together. The geometry is completely held together by the zipties. There is no frame and the triangulation not only provides an irregularsurface, but also a stable combination of points for each piece to rest on. 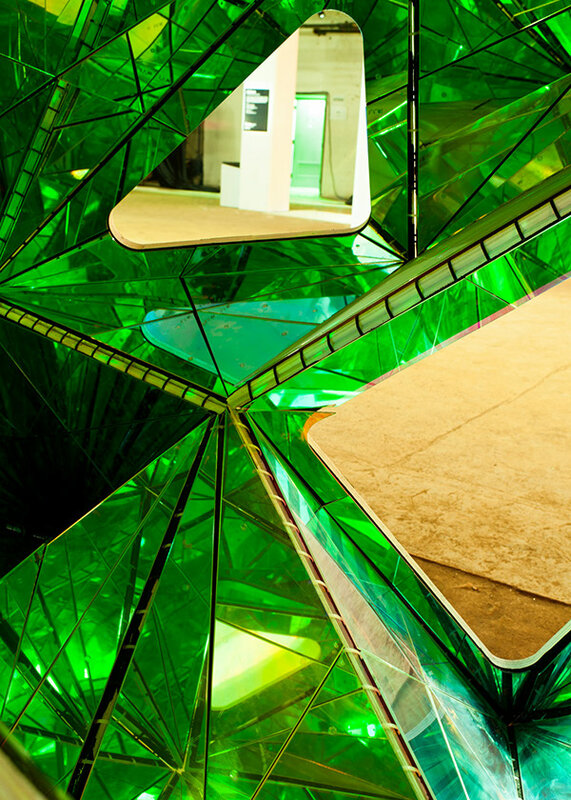 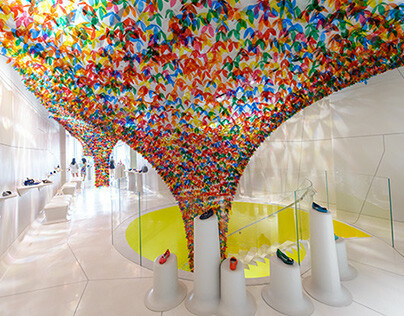 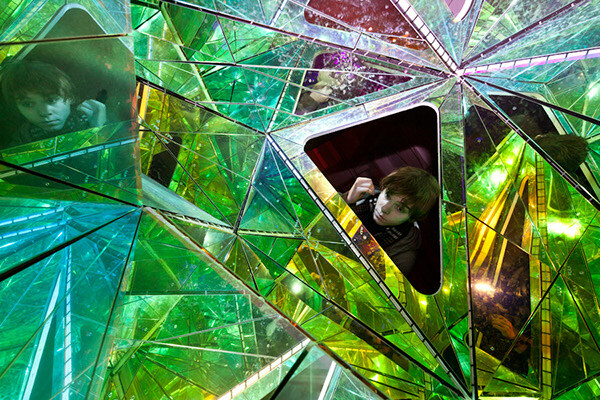 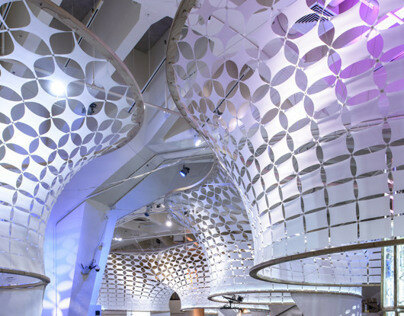 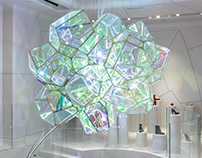 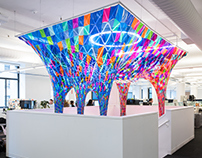 In aneffort to have viewers engage with a static object we designed aninstallation that is defined by impossible views. 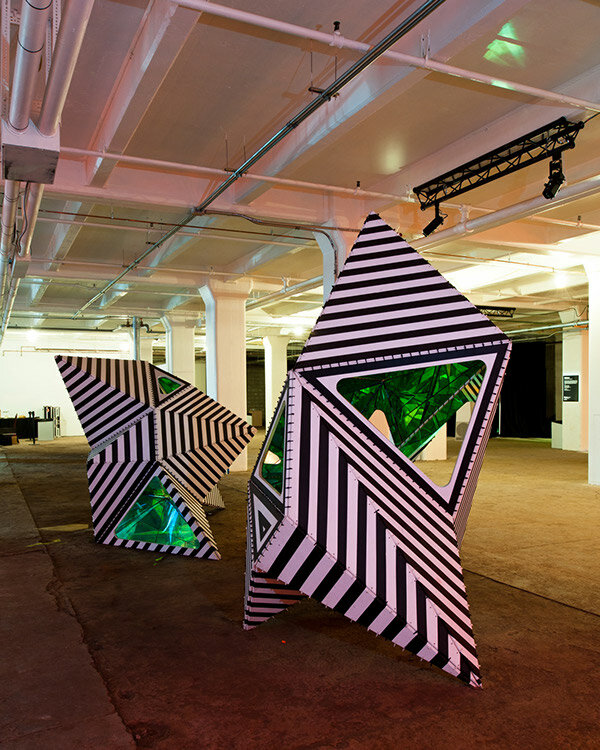 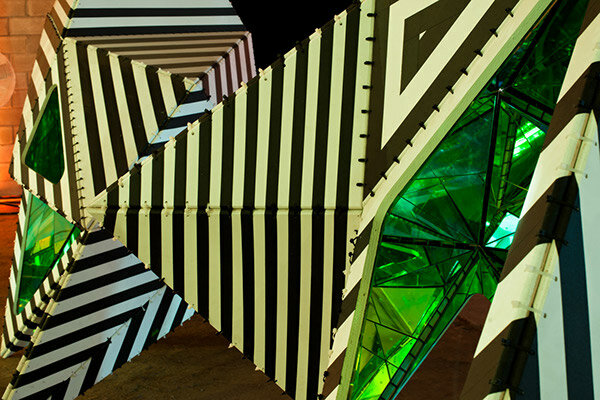 The piece is graphicallycamouflaged so that the shape is discovered by viewers as they move around thepiece. 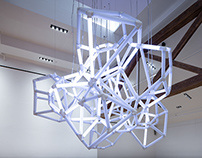 The interior of the piece is an inversion of the exterior. 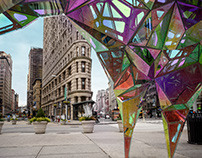 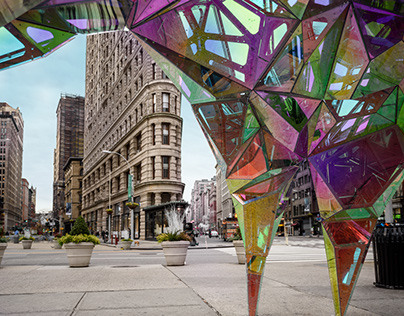 While theexterior uses a disguise as camouflage, the interior will use a hyper versionof its surroundings to confound a person with the environment. 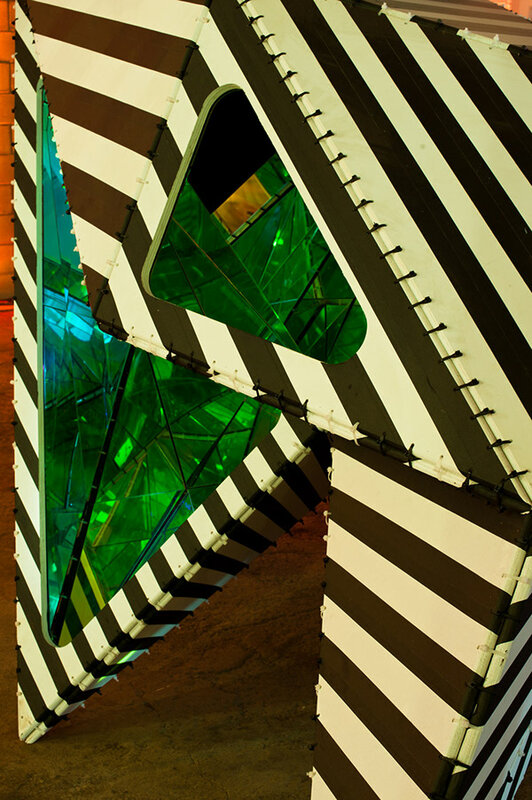 The piece actsas an irregular kaleidoscope of color and light to produce fractured images ofviews that are irregular and at best impossible.